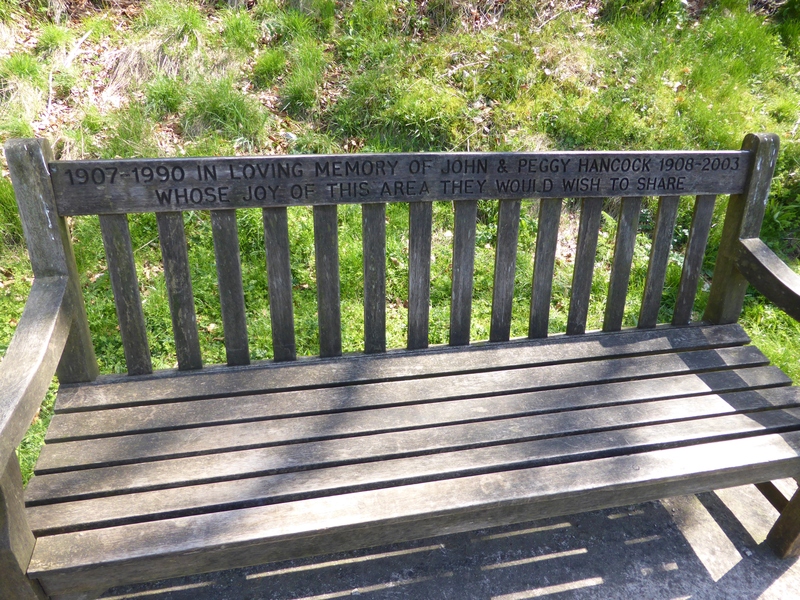 This bench commemorates two people, John and Peggy Hancock and is found near the lovely village of Hartington in the Derbyshire Dales. The sentiment on the bench sums up the comfort that a memorial bench can give to a family. 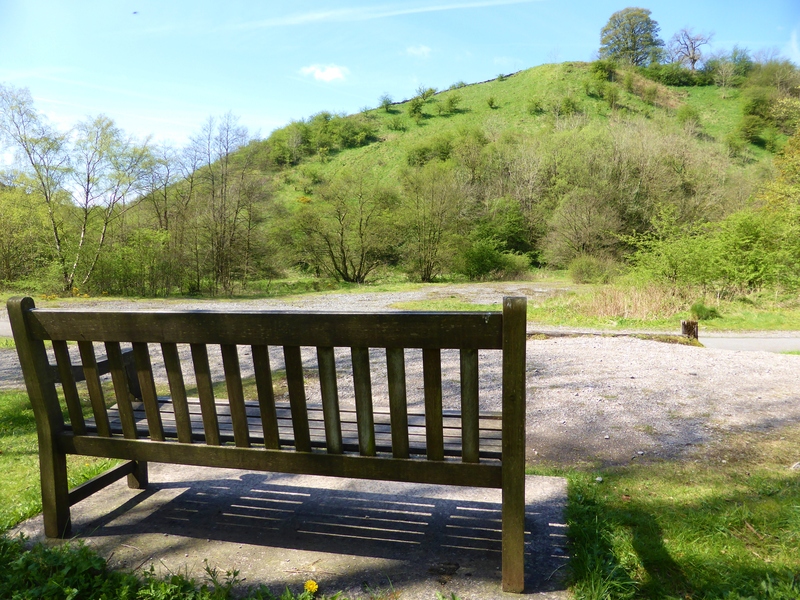 They are a place to sit and remember someone and also enable others to spend some time sharing their love of a place and maybe ponder on the lives of the people the bench remembers. We stayed near Inverness during the Easter holidays and had some lovely sunny weather. Watching the dolphins at Chanonry Point is one of my favourite activities; the dolphins are so lively and bring lots of joy. 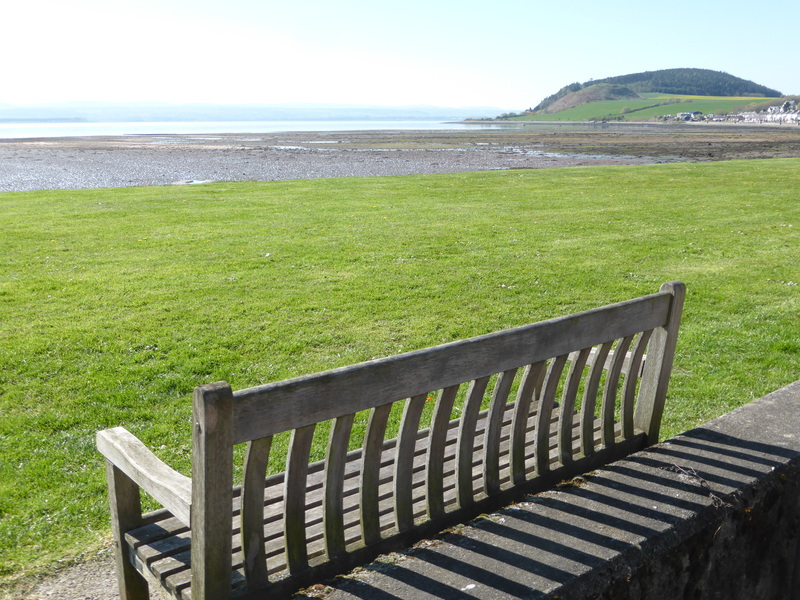 This year we walked from Avoch to Chanonry Point and Rosemarkie and back and found this bench with a splended view over the Moray Firth. The message on this memorial bench has a distinct warmth to it; Pamela Morphew must have been a woman who loved and was loved. 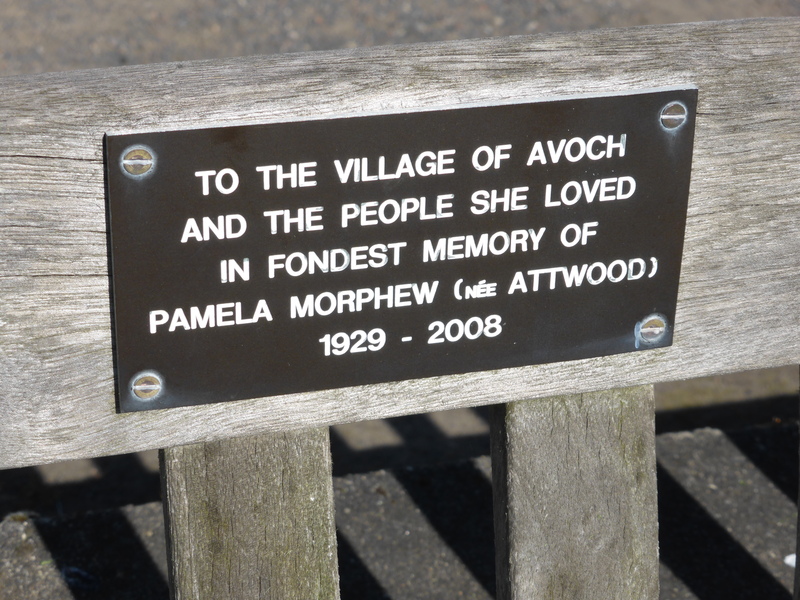 Avoch is a charming old fishing village that is proud of the village heritage. If you are interested in this heritage, the village website is well worth a visit, as is the Avoch archive website.